Just 19 years old, Pop Style Music’s Jada Kingdom didn’t come to play with people. 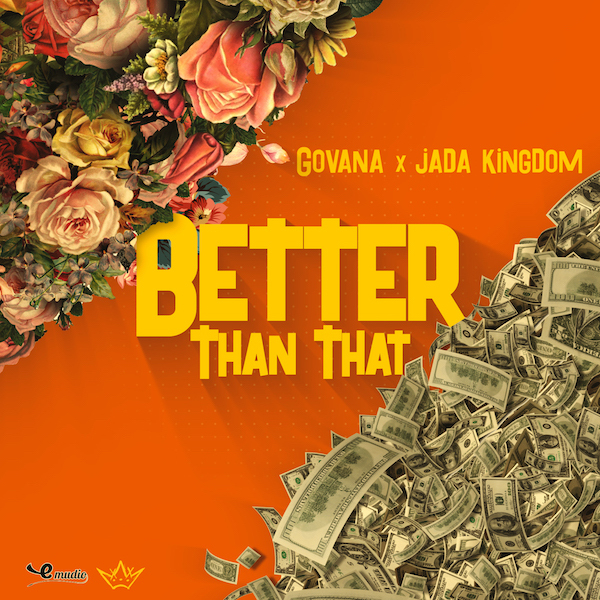 Disrupting the Jamaican music industry quickly with her unique blend of word, sound and power Jada Kingdom has raised the new wave of Jamaican talent to a higher dimension. Her third single was released on Universal Music/Aftercluv and has already been added to 2 official https://open.spotify.com/embed/user/spotify/playlist/37i9dQZF1DXan38dNVDdl4“>Spotify Playlists and is all over Apple Music and iTunes. Her next single B.Y.E.H. drops June 1 on Universal Music/Aftercluv. Be ready. Pop Style Music recently inked a label deal with Universal Music/Aftercluv and proudly launched ‘Tu Pum Pum’ as the first release in April. Starring Latin Queen Karol G ‘longside Dancehall Godfather Shaggy and young gunner Sekeunce, the Track Starr-produced take on a Dancehall/Reggaeton classic has stormed to 30 million views on YouTube already. Watch below to see why. Jada Kingdom’s growing fanbase got an extra present when we dropped her second video ~ Unwanted, on Christmas Day. The stunning visuals accompanying Jada’s new banger contain a plot twist from Love Situations that no doubt helped it trend @ #1 on YouTube for several days. There’s a lot more to come in 2018 from Jamaica’s 19 year-old rising star proudly blazing her own trail. The issue of who are the king and the queen of dancehall has once again caused strife. Beenie Man and Spice, widely regarded as the current monarchs of the genre, have been exchanging unpleasant comments over the past few days, each claiming the other is not worthy of the title. In an interview on the weekend, Beenie Man said the queen of the dancehall was baptised, in reference to Marion Hall, formerly known as Lady Saw. Spice was not amused and used her Instagram platform to launch a broadside against Beenie Man, saying he crowned himself king when Yellowman had the crown. “Unlike Bounty Killer who highlighted so many dancehall careers, what did you ever do for dancehall after so many years as the ‘king’? Not even a one girl yu never buss as a dancer much less, not even your own daughter, a Ding Dong haffie dweet,” Spice vented. Spice admitted that Hall had left big shoes to fill and said that they would not be filled overnight. But she asked Beenie “You also do know that the king is incarcerated right?” referring to Vybz Kartel. Julian Jones-Griffith, manager for Charly Black, told THE STAR that dancehall is full of kings and queens, and believes that an entertainer’s body of work should decide whether they are crowned. “Lady Saw was appointed queen by the people and everyone is looking at Spice as her natural successor. When titles are self-appointed, detractors are always going to have things to say. Beenie called himself king of the dancehall and Kartel also released an album of that name, but who’s going to argue with either of them about their achievements and claims to that title?” Jones-Griffith reasoned. “Spice is a humble person and knows those are tall heels to fill, but she has the love of the fans and talent to step up. Dancehall is extremely competitive so crowns and titles are always going to be coveted and argued over. But your body of work will ultimately decide where you stand in the history of Jamaican music,” Jones-Griffith added. Keona Williams, entertainment consultant, said some entertainers are not concerned about titles because their work speaks volumes. Released on Pop Style Music on July 21, 18 year-old Jada Kingdom’s debut single/video had a phenomenal start to its first week of release. With an epic premiere on Ebro’s Beats1 Apple Music radio show on July 20, Love Situations was also added to Apple Music’s The A-List: Reggae playlist. The video launched on Jada’s VEVO channel and has racked up an amazing 50k views in its debut week. Love Situations’ ‘Dexter’-inspired video induced thousands of comments, almost wholly positive, and quickly went viral. Jada’s Instagram stories have been full of dozens of fans who initiated the #LoveSituationsChallenge – clips of her fans singing their favorite Love Situations lines. Jamaica’s hottest radio stations have also started to plug the record into their playlists, with ZIP FM and Sun City leading the charge. Fulljoy the video and expect more greatness from Jada soon. Serani >MY TEAM< Out Now! New York, NY​ — Hometown glory hits the dancefloor with “My Team,” the brand new single by Serani. The song is being released by Feel Up Records. This ultimate shoutout anthem features bright, pulsating synths, unforgettable pop/R&B melodies (with a signature reggae flare), and of course, a contagious dancehall beat.Hailing from Kingston, Jamaica, Serani is a triple-threat singer/producer/musician, known for his work with production trio DASECA and his smash hit “No Games.” Born Craig Serani Marsh, the singer merges dancehall and reggae with R&B and Pop to create the chart-topping, international sound that shot him into the spotlight back in 2009.On Serani’s newest release, “My Team”, the singer’s smooth tenor vocal flickers in and out of his falsetto on the carefree chorus as he calls out “This one’s for my team.” The track was produced by Billboard Producer DJ Delano & his Son DJ 3D of Renaissance Disco Inc. and is being released by Jillionaire of the chart-topping group Major Lazer’s label Feel Up Records. “My Team” is a nonstop party anthem for teams across the globe.